Show will be starting in 5 mins. Tanikella bharani interesting character..in vilaspur villagers. Vilaspur looking for person to save. So far movie ia hilarious.. 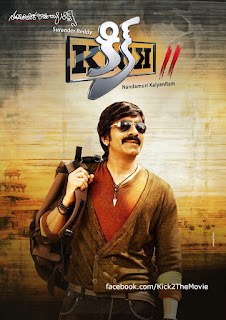 Comfort jokes baga pelthunnayi..
Raviteja as tenant in brahmi house..
Brahmi and raviteja comedy working well. Raviteja needs to get his land from local leader..interesting challenge to get his land back. Rakul proposes to raviteja...daniki raviteja icchina comfort response and brahmi expressions nice scene. Raviteja land back grab chesukunna way hilarious.. Last 15 mins aripinchey comedy..
Vilaspur villagers trying to get raviteja in background. Done with first half.. Not a single boring moment comedy worked out really well.. Main story in second half..
Commercial cinema kabbati logics chudakoodadhu..
Villagera trying to create conflict between raviteja and thakur..
Koncham.ikkade Cinema koncham dragging ga vundi..
Second half paduthu lesthu saguthundi.. Kick title song.. Wrong placement..
Tanikella bharani scene with raviteja is good. Second half of the movie is not well written. Comedy antha work out avvala.. Main Story ki kooda connect avvaam. Good first half and below avg second half..